Yesterday, Bernie Sanders tweeted something he’s said a number of times. It was on message. It was about income inequality and billionaires. It was about taking back our country. Now, I’m not in the habit of watching Joe Scarborough so I only read about this this morning, and well, if I’d been drinking coffee at the time I might have spit it out all over my laptop. I might have flipped the bird at the screen and said a few choice words to Trump while wiping coffee from the keyboard and the table. Thankfully, my coffee mug was empty and my bladder full so I had to get up, which gave me time to compose myself. When I sat back down, I found the video online. I can get some very good material? That’s all it is to Trump. Material. He doesn’t believe in anything but himself, and that shows you how grossly Trump misunderstands everything Bernie has to say and everything Bernie’s supporters believe in. Look again at what Bernie tweeted for the umpteenth time yesterday. That message has resonated. 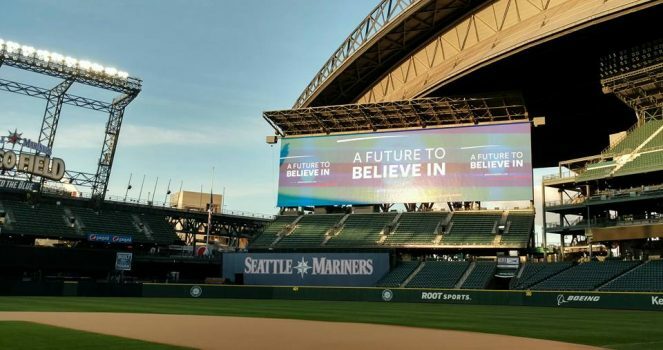 I’ve seen it resonate first hand at the Bernie rally at Safeco Field here in Seattle and also at the Washington Democratic caucuses the following morning. It’s one of the many reasons core Bernie supporters do not like Hillary, and it bears repeating again and again lest we forget the huge—YUUUUUUGE—and growing divide between the 1% and the 99%. I don’t expect an answer of course, but the question has me thinking about something else Trump said. I’ve hesitated on that question fearing that it might hand the presidency, the congress, the supreme court and all that is good and just in this world to the Republicans, but for the first time, it’s beginning to make sense. Given Arizona and New York, it’s beginning to make sense to me. Trump has not a chance with Bernie supporters, but I’d wager the anti-Trump crowd is just as much or more so anti-Hillary. Can you imagine it? Progressives, independents, non-Hillary Democrats, and moderate Republicans uniting to do something that has never been done before and electing a third-party candidate. We could take back the country not just from the handful of billionaires but also from the two major parties. It could happen. And that would be the true revolution.